A couple of years ago, we began exploring the South Portland side of Casco Bay. We decided to just look around and see what was there. Over the course of a summer, we rode our bikes along the coastline and began talking to people who live and work around the harbor. Since we’re long-time community radio nuts it seemed natural to craft a radio show for WMPG-FM from our adventures. The idea for Aucocisco Radio was born. The word Aucocisco is a Native American word thought to mean muddy cove. And muddy was how we regarded our knowledge of the harbor when we started this project. Historically, the people in the Portland area have been very tied to the waterfront. But, as our ways of living and working have changed, we’ve started to lose our identity as a coastal community and many of us have little or no connection to the harbor. We see Aucocisco Radio as a way to help bridge that gap. Our goal was to create an armchair tour of Casco Bay. Seldom do we really explore in our own back yard. It seems an obvious thing to do, but how many times have you passed a building in town and wondered what it was for or when it was built? We decided to let local people tell their own stories about the places along the waterfront. What was it like to work in those shipyards? Was it lonely out at a small island lighthouse? How did kids get to school from House Island? We’ve had an amazing adventure talking to people who live, work, play and make decisions around the harbor. We spent a night up on the oil derricks, explored House Island and boated out to Ram Island Ledge Light in the freezing cold. We did it because we wanted to bring our own backyard into focus and into your ears. 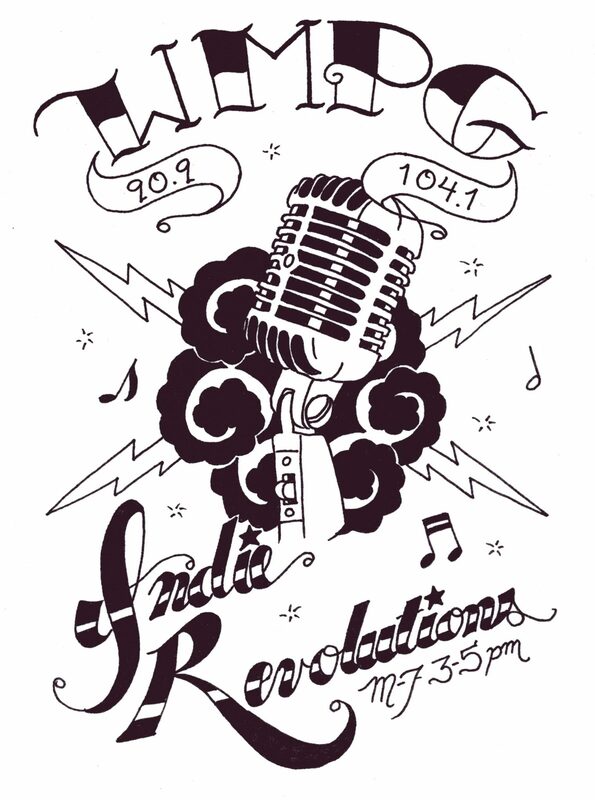 WMPG-FM is a local community radio station that operates on the campus of the University of Southern Maine. 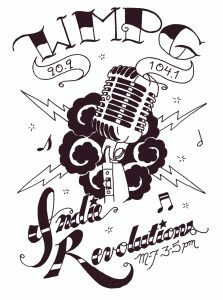 After thirty years, WMPG has become a major source for alternative news, music and entertainment in the Portland area. 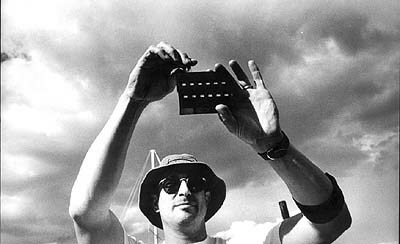 The Salt Institute for Documentary Studies is known for collecting and publishing Maine stories. Because WMPG and Salt are local institutions that value local stories, it seemed natural to collaborate on a project about our local landscape. While Aucocisco Radio began as an audio project, the visual appeal of the harbor is undeniable. 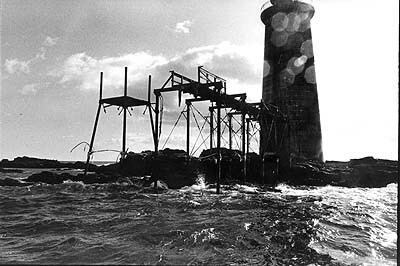 These photos document scenes that are fast disappearing from our landscape: the Willard Beach fish shacks, manual maintenance of Ram Island Ledge Light and the oil rigs that dominate the harbor skyline. While the photos illustrate the radio stories, they also tell their own tales. Lastly, it was important that residents speak for themselves. You’ll rarely hear an “expert” in these stories, unless of course you agree with us that people are experts of their own lives. In the end, we’re left with just as many questions as we answered, but these stories are poignant, funny and exciting, and never failed to captivate us. We hope you enjoy them. • PGM 4 – What Happened to Ferry Village? Is there anything more emblematic of the Maine coast than a lighthouse? The large, unyielding towers lining our coast evoke a history of life on the dangerous seas. The seas are as busy as ever and the work is still dangerous, but these low-tech icons are getting high-tech makeovers making lighthouse keepers obsolete. 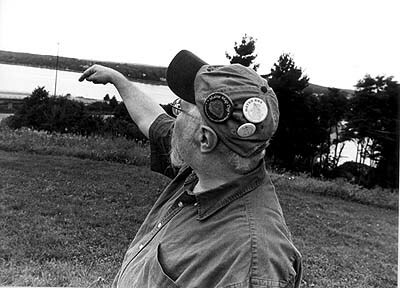 Joe Johansen spent two years living at Ram Island Ledge Light for his first tour of duty with the Coast Guard. He lived out there for 24 days at a time with one other person. And since there was no house on the ledge, they lived in the cramped tower. 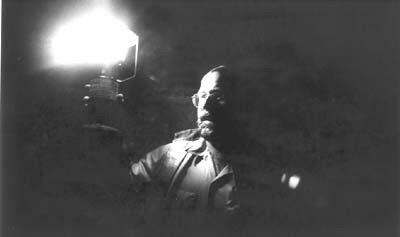 The light was operated manually and required round-the-clock attention. Now, the Coast Guard maintains the electronic light and visits only about every three months. The computer operated lighthouses require very little attention and there are no staffed lighthouses left on the coast of Maine. Could any 21st century person actually live alone for weeks at a time with no modern conveniences? We may never know. Two points of land whose histories are inextricably linked to the sea. One has become a protected landmark visited by thousands each year while the other is in danger of vanishing forever. 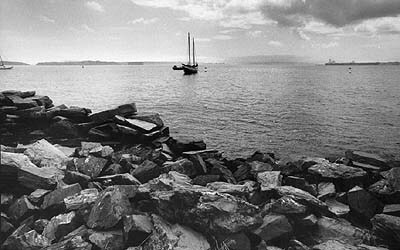 Both are a link to the past and a way of life that is fast disappearing from Portland Harbor. The Willard Beach fish shacks and Portland Head light are tangible connections to our maritime heritage. Portland Head Light is a beautiful landmark on Cape Elizabeth’s craggy coast. Thousands of visitors come each year to take photos and learn about Maine’s history. As a boy, Myron Langway helped the Keeper light the oil lamps that alerted mariners to the rocks near the coast. He didn’t live or work there. He was just a neighborhood kid with a special love for the Light. A few miles away, fishermen used to cut bait and prepare their boats for fishing each day. Two small shacks are perched on the point overlooking Willard Beach in South Portland. For years they were on the beach, but tourism and recreational use of the shore forced the shacks up onto the ledge. Maintained by generations of fishermen who stored their gear there, the shacks are no longer used. 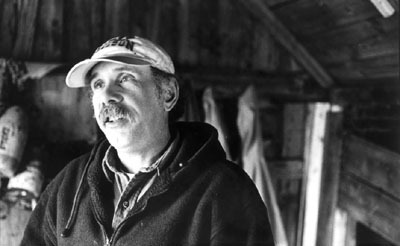 Richard Holt diligently cares for the shacks because he sees them as a vital connection to the past. Portland Head Light is still in use and its future is assured because it is a protected landmark and a stop on every tourist itinerary. But what about the fish shacks? They’re not glamorous or even very pretty. There’s no staff to welcome visitors. But when these shacks are gone there will be no evidence that anyone ever fished out of there. If ever there was a setting for a mystery, House Island would be it. It’s uninhabited in the winter and there’s an abandoned fort. It’s the stuff that fuels childhood fantasies. Thought to be the site of the earliest European house built in Casco Bay, it was referred to as “the island with the old house on it,” or House Island. But the island has seen more than just a house. In 1808, the US government built a sprawling fort named Fort Scammel. Later, they constructed a quarantine station for immigrants on the other side of the island. Neither the fort nor the quarantine station saw much action. That is, they didn’t see the action they were intended for. Roberta Sheaf remembers living on the island with just her mother, father and sister in the 1910s and early 20s. 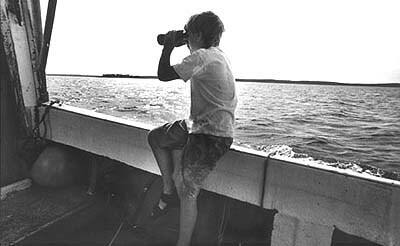 And, Hal Cushing lived every little boys dream: his family owns House Island and he spent summers as a boy exploring the fort and the shoreline. Still, it’s a lonely island. Never heavily populated, only a handful of people have lived there for the last century. Not quite deserted, but not quite a home, House Island continues to evoke a sense of mystery. There’s just something about a sparsely populated, thirty-acre island in the middle of a busy harbor that inspires curiosity. PGM 4 – What Happened to Ferry Village? Walking along Front Street in South Portland, it’s hard to remember that you’re on the waterfront. The large, green oil tanks dwarf everything else along the street. The small houses that line the other side look like toys in comparison. Ferry Village was once a small fishing village, but was changed almost overnight. During WWII, two large shipyards were hastily constructed to build Liberty Ships: vessels that relayed supplies to Europe during the War. The US government bought the small houses and shacks along the waterfront displacing fishing and shipbuilding families that had been there for generations. But the shipyards created jobs – thousands of badly needed jobs and the neighborhood was flooded with workers day and night. The war ended in 1945 and the workers left. The land was soon developed for the growing oil cargo business and now the area is home to acres of tank farms. Was this modern progress making life better for all or a behemoth that took over a neighborhood? It depends on who you ask. 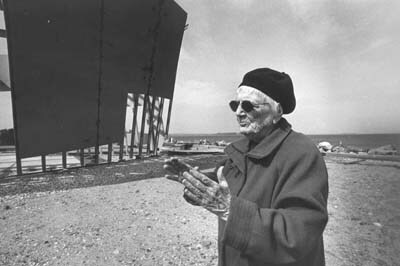 Shirley Wilder was one of the first women to be hired at the shipyards during WWII. In her mind, the industry cleaned up a tired old village. 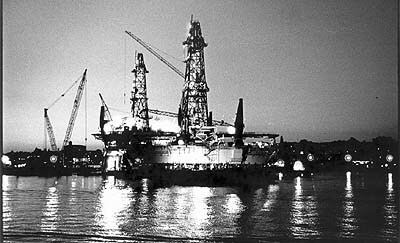 But to Jim Darling and his niece, Carol Campbell, the shipyards and then the oil tanks decimated a community. Now Ferry Village is quiet again. Remnants of the decaying shipyards can be found at the end of the street. And the oil tanks that were constructed after the War quietly loom over the village separating people from their past. Listen to PGM 4 – What Happened to Ferry Village? To many Portlanders, Back Cove is a beautiful recreation area — an oasis of nature in a land sprouting parking lots and strip malls. But, was the Cove always like it is now, ringed by roads and homes? 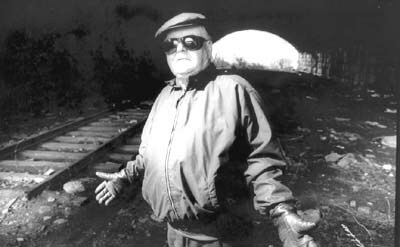 Historian William David Barry led us on a trip through time to explore what Back Cove was like before the walking trail and I-295. The ocean is such a huge force of nature that it seems impossible that we could alter its path. But Portland is a study in landfill. Early European settlers found a narrow peninsula of land surrounded by streams, marshes and tidal inlets. Prior to 19th century, the Back Cove waterway was so large that it made the peninsula almost an island. As Portland grew into an international port, land was added around the cove to accommodate human needs. Transportation necessitated rail lines and roads. Factories required more waterfront property. So, clam flats and streams were buried under landfill to create new land. In a way, we literally pushed our connection to the sea further out into the channel. And now, Back Cove has no commercial purpose. All those alterations have taken their toll. The channel is no longer deep enough for boats and it’s nothing but mud flats at low tide. Still, the tree-line cove is a beautiful haven of nature in the middle of the city. Almost by accident, Back Cove has become the centerpiece in Portland’s park system. There’s no denying that Casco Bay is a beautiful harbor. We’re lucky to live near such a dazzling part of the ocean. But how clean is this harbor? Would you swim in Casco Bay? Would you eat fish caught in the harbor? Heavy industry once ringed the harbor: shipbuilding yards, canneries, lead paint makers, a soap factory, a kerosene distributor, coal pockets and a hat factory lined the harbor. How much pollution are we willing to accommodate to host the oil tankers, cargo ships, pleasure boats and cruise ships that enter Casco Bay each year? Since the Clean Water Acts of the 1970’s the water quality in Casco Bay has steadily been improving. And de-industrialization, the very thing that has taken away so many jobs, has been very good for the harbor. Still, it requires constant vigilance to keep the bay clean. For example, cruise ships, a growing part of the tourist industry here, are exempt from the Clean Water Acts. This means that they can discharge waste within the harbor. Improving the waters of Casco Bay is a large job and thereÌs a strong cooperative effort to monitor the health of the harbor. Private citizens test the waters, city and state employees enforce the clean water legislation, and organizations like the Friends of Casco Bay initiate programs to reduce pollution. That the water quality of the harbor has improved is obvious, but there is a lot of traffic in this harbor. Where do we strike a balance that allows for both a working waterfront and a clean harbor? A lobster dinner is a big part of the Maine summer experience. Every tourist has one, and many locals look forward to their yearly splurge on lobster and clams – with plenty of butter. But how does that lobster get to your dinner plate? By the time itÌs ready for supper, the lobster has taken a long journey. In the span of one or two days, a legal-sized lobster passes through the hands of no fewer than four people before itÌs purchased for a meal. Gary and Brother Ross spend six days a week hauling traps. They transfer their catch to Joe Badgewick who mans the smack, sort of a transfer station for lobsters and bait. Joe and his son Finn take the lobsters in to NancyÌs Shellfish in Portland. From there, lobsters are distributed to retailers, processors and restaurants. Gilbert’s Chowder House buys its lobsters from Nancy’s. The lobster makes its ways through this maze of business maneuverings and is still very much alive at dinnertime. It’s quite a journey from trap to plate. At Gilberts, the Blaising family doesn’t really know how to cope with their meal. Imagine never having eaten a lobster — how do you get it open to eat it? Finally, with a twist and a snap, the tail is broken and the treasure is revealed. There’s a whole corps of train evangelists in Portland hoping to start a train revival. People like Bob McDonald and the volunteers at the Narrow Gauge Railroad Museum do double duty, preserving our rail history while also promoting the resurrection of passenger rail travel in Maine. The irony is that Portland once had a strong railroad system – and we gave it all up. The Portland waterfront once began at Fore Street. The wharves extended out from behind the buildings that house Gritty McDuff’s and the other shops along that side of the street. In the mid – 1800’s, in order to accommodate the railroad where it was needed most – along the waterfront – new land was added. Acres of fill were brought in, the old wharves were buried and Commercial Street was created. Then, new wharves were built that extended out from this new land. Casco Bay became a major shipping port and trains were a vital link to natural resources of interior Maine. The busy port had no fewer than three train links: Maine Central, Boston & Maine and the Grand Trunk. But, by the middle of the twentieth century we had all but abandoned railroads because highways offered a faster, cheaper way to travel. Even now, old railroad tracks sometimes peak through the paved roads and remind us of the romance of rail travel in an age of lonely commutes and perpetual highway construction. Bob McDonald and his fellow evangelists proffer the new train service as an alternative to sitting in traffic. Is this a true revival or just a longing for something we gave up? The oil rigs dominate the Portland Harbor skyline like twin Eiffel Towers, lending an exotic look to the harbor. Visible from many parts of Portland and South Portland, they’ve piqued the curiosity of locals and visitors alike. They’ve only been here just over a year, but will leave a noticeable hole in the skyline when they leave late this year. Hundreds of workers can be seen climbing or descending the stairs each day as shifts change. And it’s a long climb. D-deck, the main deck, is 110 feet straight up off the water. Outside on the deck thereÌs an amazing 360 degree view of the harbor. But, inside the rigs, it looks like any industrial building and you can forget you’re on what is essentially a boat. The night shift is quiet. Electricians connect the miles of wire that lie beneath the floor. The crane operators – they have the really impressive view – spend the night removing the trash and debris that the day shift was too busy to deal with. There are only 35 to 40 workers on the night shift so it seems like a deserted factory up on d-deck. In a way, it’s eerie to see so few people in a structure so large. Most of the new construction projects we see in Maine are buildings and bridges: large, immobile structures meant to stand where they’re built. But the oil rigs have no use in our part of the world and so they become a very large export. In that sense, they are akin to our long tradition of shipbuilding and may be the industry that carries that tradition into the future. What would it be like if you could travel through time to see early Portland? You could travel along Commercial Street and see loads of coal on barges, or walk along the base of Munjoy Hill to the seldom used Victoria Wharves. Or maybe you would take an excursion out to the shady groves at Martin’s Point like Henry Wadsworth Longfellow did. Local historian, Herb Adams, led us on a tour of historic Portland. He pointed out that one theme remains constant in Portland’s history: change. Throughout time, citizens have continually altered the waterfront. Seemingly permanent structures are lost to progress, and new, better buildings are constructed on top of the old. Land once deemed unprofitable is developed for new ventures. The proposals for Ocean Gate and relocating the Scotia Prince ferry terminal promise new and exciting modifications to the waterfront. But, as we discuss improvements and changes once again, it becomes clear that no matter how much we plan, someone will come along and change our work in the future. The more things change, the more they stay the same. Aucocisco Radio is a production of WMPG-FM, the community radio station at the University of Southern Maine in collaboration with our friends at the Salt Institute. We are especially grateful to everyone who participated in this project. To all of the individuals and organizations that gave their time, stories and support — thank you so very much. Thanks to Shipyard Brewing for the donation of Captain Eli’s Root Beer for this event.